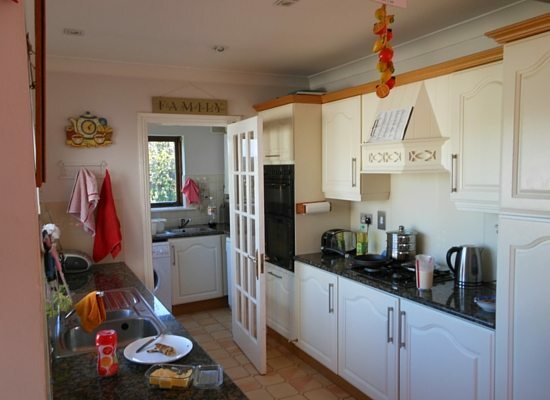 The home is a detached house with a wide side garden and rear garden facing east. 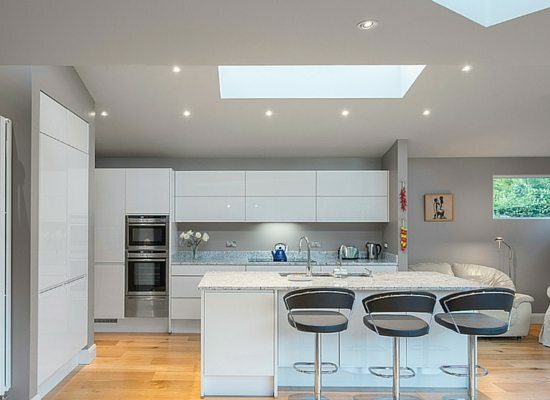 Because of the original design of a singles-storey kitchen and utility room, sun light was blocked from the rear of the house for most of the day. Two of the design requirements were to unlock the potential for natural light into the living areas and make a stronger connection with the garden. Before and after shots show how the re-orientation of the living area and replacement of a window with sliding doors achieved this. 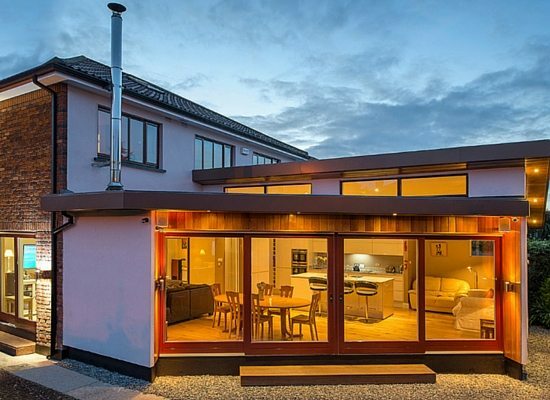 The homeowners had been thinking of a house extension for more than 5 years and had 2 previous designs drawn up. A meeting with Shomera at the Ideal Homes Show kick-started the 3rd and final design for the house extension. Additional design requirements included a large open plan living area that would also comfortably break down into discrete spaces. e footprint of the existing house) benefiting from a new side entrance and the creation of a new roofed storage area to the side of the extension. The bag-drop and coat hanging storage area is immediately off the entrance hall (fronting the utility room) encouraging less clutter in the living area. 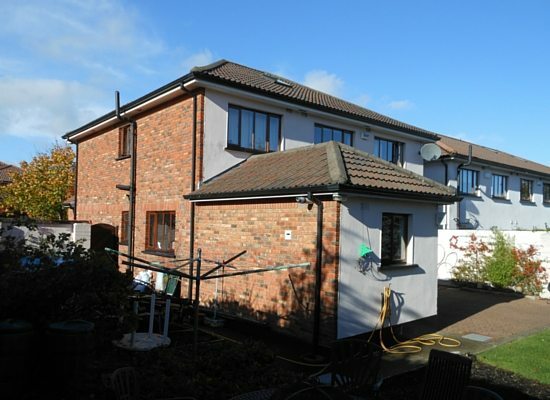 We had been planning an extension for a number of years and had previously commissioned 2 architectural designs. When we met the Shomera/HousX team at the Ideal Homes Show and saw their work, we instructed them to do a design. From the start we felt we had found the most suitable partner to transform our home. The design produced got us excited and the collaborative process meant the design became more and more suitable and personalised to our requirements. 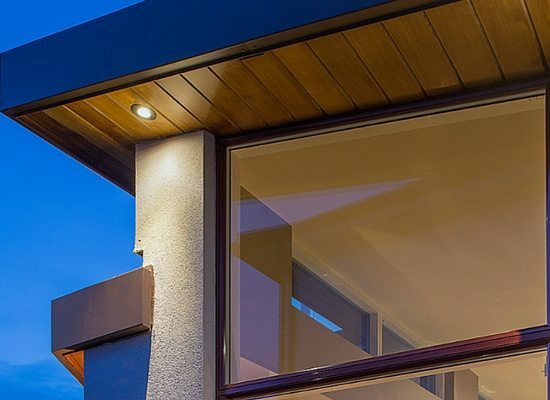 A significant attraction for us was the full design and build service provided with all certification for structural work, planning, building regulations and guarantees included. Once the design part was completed, the build commenced and we were very impressed by the professionalism, efficiency and quality of the work. We experienced none of the nightmares commonly seen on house build programmes and the short work schedule was rigidly adhered to. 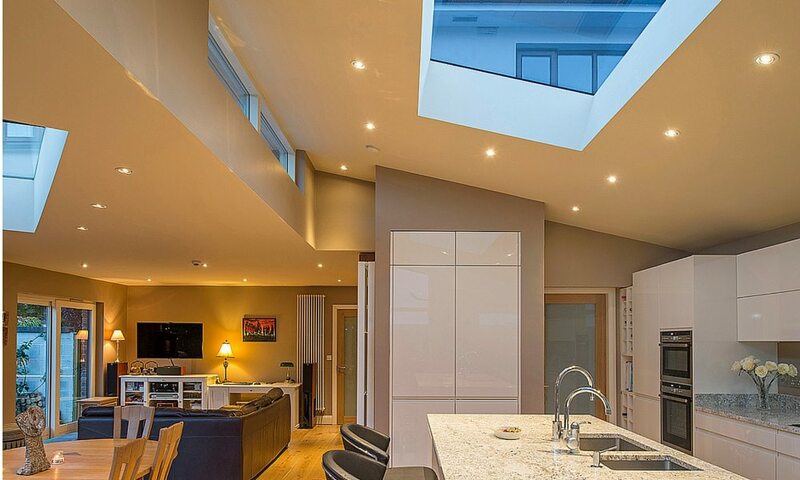 We love our new extension which is a large open plan living area but with each area discretely delineated. The light, space, connection to the garden and orientation towards the sun makes it a delight for our family.